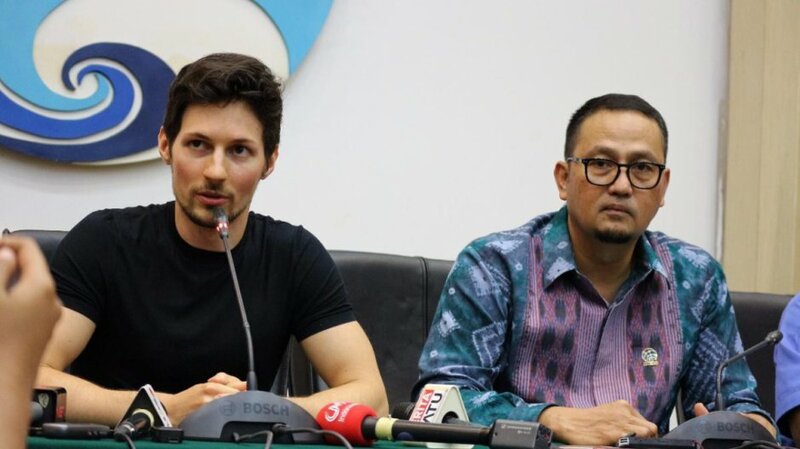 TELEGRAM, the messaging app that was banned by Indonesian authorities in July has been restored to full access following talks between the service’s operators and government officials. “The [ministry] has been given a special path to address negative content related to radicalism and terrorism, so the public can return to using Telegram,” Communications and Information Minister Rudiantara said at a press conference last Thursday, tempo.co reported. The social messaging service came under fire and was quickly blocked by state censors after reports emerged Islamic State-related terrorists were using the service’s encrypted messaging software to communicate, as well as distribute “radical and terrorist propaganda”. Indonesia, the world’s most populous Muslim country, has seen a resurgence in homegrown militancy and authorities are becoming concerned over the influence of IS in media channels it cannot monitor. After numerous appeals and a meeting with Telegram CEO Pavel Durov, Rudiantara’s department agreed to unblock the service upon agreement on a number of terms, including the appointment of a Telegram representative who will liaise with the government. Telegram must also create an internal software designed to filter out and block certain pieces of content, especially those relating to terrorism and radicalism. The service will also be responsible for setting up a process by which negative content will be handled, as well as follow-up monitoring. The SOP will be set up in consultation with representatives from both parties. “It’s more or less a same-day service, so if a complaint is lodged, it would be processed and taken down on the same day,” Rudiantara said, according to The Jakarta Post. Some parties have expressed concern state-intervention in various encrypted messaging services could be toeing the line between security and censorship. The Australian government has been courting controversy on a similar topic, and has proposed laws to compel messaging services such as WhatsApp to cooperate with law enforcement. Though there was little detail, Rudiantara explained the script Telegram was working on would be keyed to filter out negative content, especially that which relates to radicalism and terrorism. Telegram has reportedly found around 10 channels in Indonesia that qualify for blocking. Instances of such content will be conveyed to the National Police and National Counterterrorism Agency.